After months and months of studying, you finally take the LSAT. After anxiously waiting for your results, you get a low LSAT score, even though you prepared as best you could have. Good news. A low LSAT score is not the end of your law school dreams. Taking it again without determining what went wrong and preparing accordingly, however, can be a waste of time and money. After receiving a low LSAT score, it's time for some honest self-assessment. There's two main points that you should consider in order to improve your score for next time. How did you prepare the first time? Perhaps, in being honest with yourself, you didn’t prepare enough? On the other hand, is it possible your previous prep method simply was not the best one for you? Do you have an understanding of the strategies and techniques that will allow you to be successful the next time around? Without thorough knowledge of how you can improve on the LSAT, you can prepare forever and still end up with a low LSAT score. You'll need to take the time to address the underlying foundation of your LSAT prep. For example, do you understand sufficient and necessary condition questions? Do you know how to approach a strengthen with necessary versus a strengthen with sufficient question? Game strategy? Ensure you have a full understanding of linear and group game rules, and deductions you can and cannot make from them. If you can’t show mastery of these skills, you need to change your method of preparation. As they say, insanity is doing the same thing over and over but expecting different results! 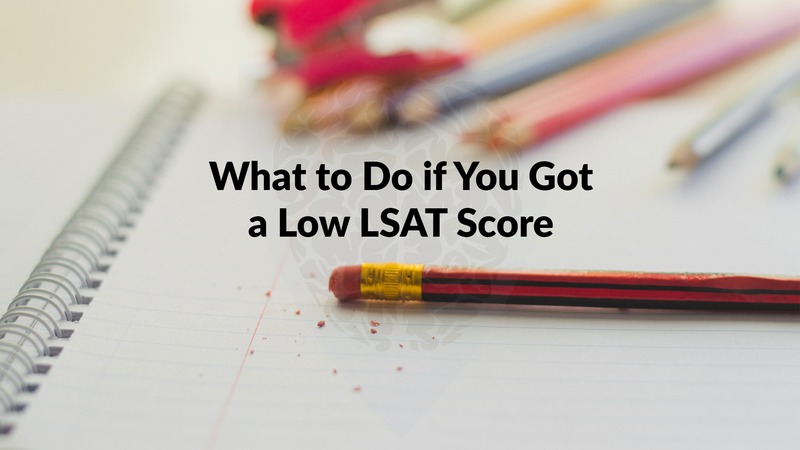 Make sure you’ve given yourself enough prep time in order to avoid another low LSAT score. Many courses begin preparation 8-10 weeks prior to the exam . . . but why is that? Access to most LSAT prep courses is finite, therefore a shorter course may also mean increased revenue per student, should a student underperform. This is why the second step for increasing your LSAT score is taking the proper time to hone your skills under time pressure with real LSAT tests. You should continue taking practice tests until you are consistently achieving your target score on simulated exams. This is the best, and most thorough, way to properly prepare for the LSAT. Needing time to hone your skills under time pressure is why TestMax sets its prep calendar the way it does. Exam prep for the September LSAT begins in May; not because it takes that long to get through the course, but because of the importance of giving yourself ample time for the second step of the process. If you didn’t score as high as you were hoping, it very well could be because you didn’t give yourself the time needed for consistent performance. The LSAT is a unique type of standardized test—it’s not subject based. It isn’t asking you to regurgitate facts, it’s asking you to actually change the way you think. The way to succeed is to have the right strategies in place and consistently apply them on real practice LSATs. After examining the foundation of your LSAT prep and ensuring you're now scoring consistently in your target range under time pressure on simulated exams, you will be ready to face it again, this time avoiding a low LSAT score. This time, you can expect to achieve a higher score and get closer to obtaining your ideal outcome. We wish you the best of luck as you apply to law school!